Recorded on July 26, 2016, Live at the Belly Up. captures a very special, intimate performance from the five-time Grammy Nominated Bebel Gilberto. The set features the sultry Brazilian singer and her long-time guitarist Masa Shimizu, performing some of her fans’ favorite songs rearranged for this special show, along with a show-stopping cover of Radiohead’s “Creep”. The recording also features Bebel’s own interpretation of “Preciso Dizer que Te Amo”, a song she originally wrote and recorded with fellow Brazilian singer Cazuza, a close friend of hers until his death from AIDS related causes in 1990. The song first appeared as a duet between the two artists on Red Hot & Rio in 1996. Although she has been making music all her life, Bebel Gilberto had her first major breakthrough as a solo artist with her highly acclaimed release Tanto Tempo in 2000, introducing her now-trademark blend of electronic bossa nova and positioning her as one of the top-selling Brazilian artists in the U.S. She has released five albums in the last 16 years, all Grammy-nominated, and all of them reflecting a life growing up with one foot in Brazil and the other New York City, infusing a modern, cosmopolitan edge to her music. She continues to call New York City home to this day. 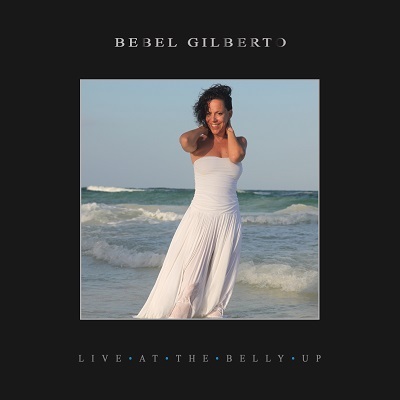 Click here for more information about Bebel Gilberto.